As a mom, planning Mother's Day activities is not really on the top of our list. At least it is not on mine. I much rather have someone else take the lead and allow me to enjoy the day. Luckily, most children come home with a prepared gift from school that warms up our hearts more than anything you can buy at a store. Now, if your child is at home with you, direct your hubby or a friend to this page for some Mother's Day ideas. If you are a teacher, hope you will find these Mother's Day lesson plans handy. 1. One of the Ten Commandments is "Honor Your Father and Mother." 2. On Mother's Day we celebrate an important person in our lives. 1. How do we honor our mother and father? 2. Why do we need and want to respect our parents? 3. 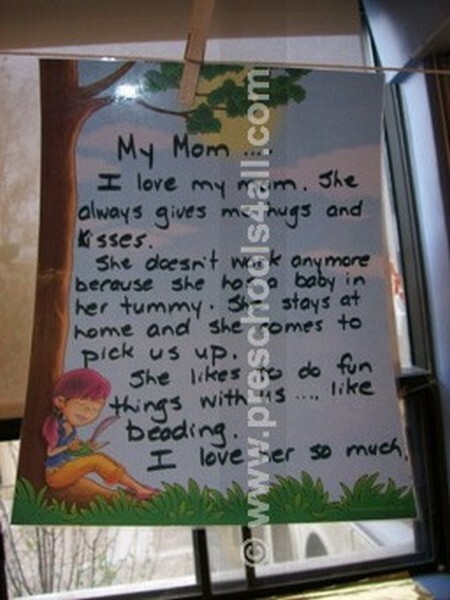 What makes your mom special to you? 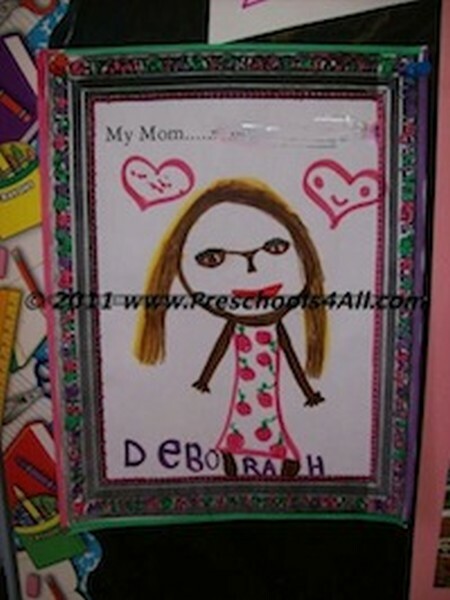 Ask the child to draw a portrait of their mom and frame it. Interview each child individually about their moms. Do not lead them to specific answers rather talk less and allow them to share their thoughts. This is one of my favorite activities. It is simple and adorable. 2. Cut out the traced hands. 3. 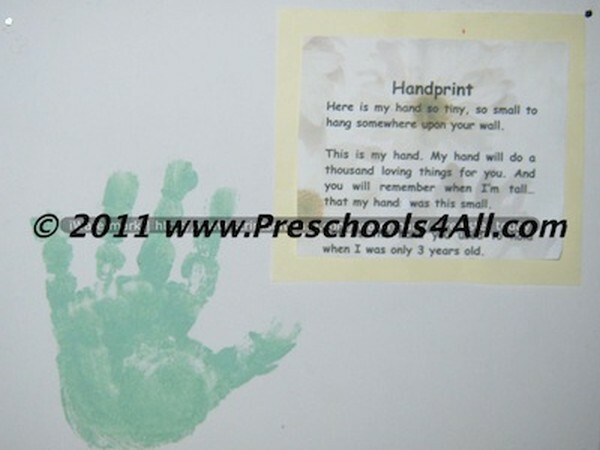 Glue the hands at the ends of sentence strip paper. 4. 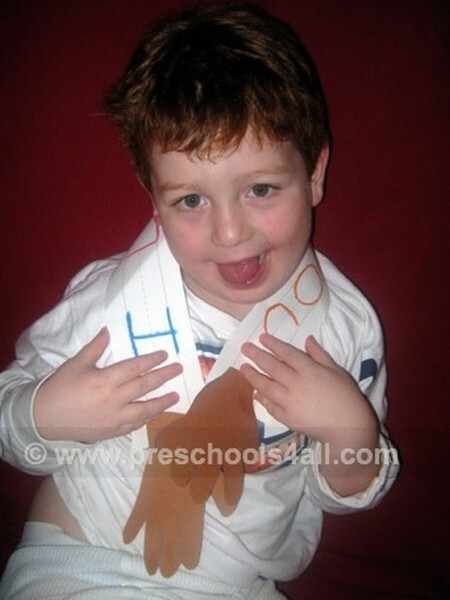 Write "I Love You" on the sentence strip and decorate it. 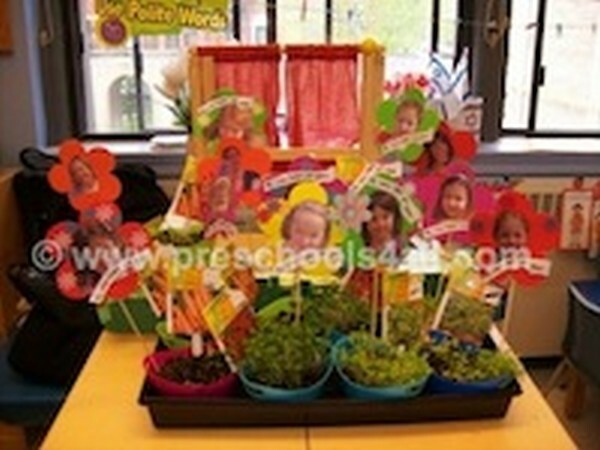 A few weeks before Mother's Day each child plants herb seeds in a small pot. (They can decorate the pot). Add a paper flower (or made out of foam) to the pot with a picture of the child in the center. Write on the flower: "Mom's love helps kids grow." 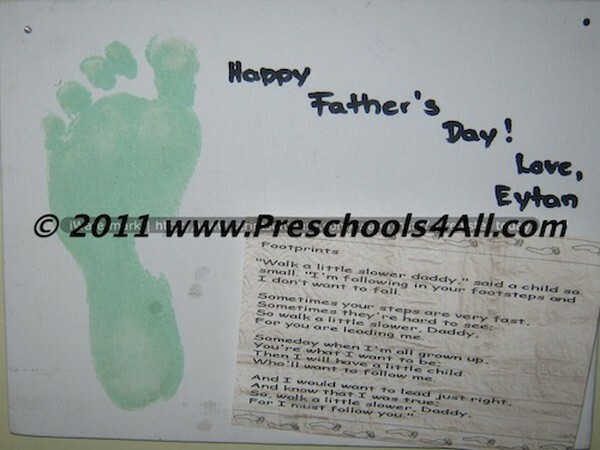 The next two Mothers Day activities were made by our son at the age of three.